This Machining calculator App for iPhone, iPad and Android is designed to help engineers and machinists optimize the perfomance of their turning, milling and drilling applications by calculating optimal cut settings based on job parameters. 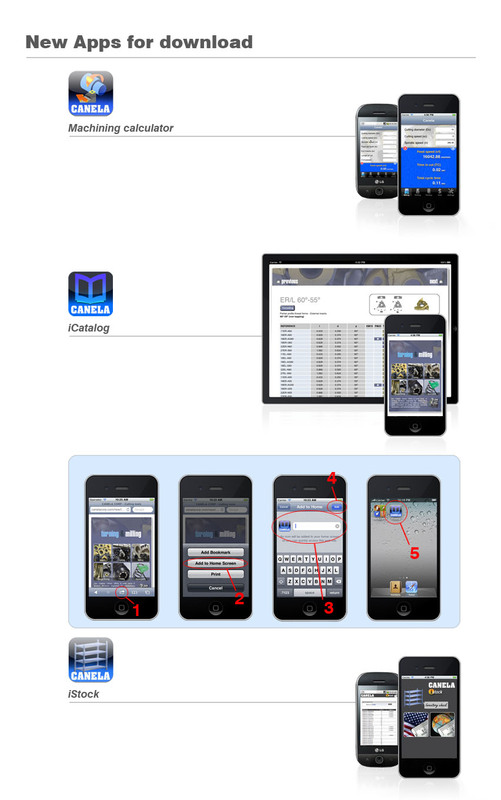 This icatalog App for iPhone, iPad and Android is designed to offers a wide array of product literature organized by metalworking application and by brand. Our icatalog provide in-depth information on tooling features, operating parameters, technical specifications, and more detalis. This istock App for iPhone, iPad and Android is designed to check the items in stock and the delivery times of the non-stocked items.